Hi everyone! We are joining Athena’s Caturday Art Blog Hop and The Pet Parade. Emmy want to make a Valentine for Spitty. She knows he has lots of lady loves, but she wants to be one of them too. This is the Lunapic Valentine hearts effect. 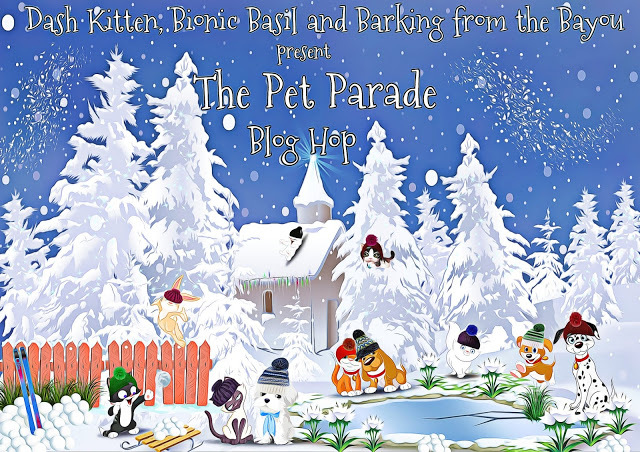 This entry was posted in Art, Blog Hops and tagged Athena's Caturday Art Blog Hop, Emmy, Lunapic, Spitty, the pet parade blog hop by pilch92. Bookmark the permalink. That is a sweet Valentine pic for Spitty. All the chicks want to be part of King Spitty’s world – he’s got quite the harem! Oh Emmy, that is one great picture to send Spitty. We know he liked that. Love all the floating hearts. Have a good day. Dear Emmy, you deserve someone exclusive! ~grin~ Be well, my dears. That sure is pretty sweet Emmy! Oh, that Spitty is quite the ladies man but I’m sure your Valentine picture will go straight to his heart without Cupid running interference from other damsels. Emmy, you are so cute! Any mancat would be crazy to pass on your invitation! Emmy, you are a doll, I’m sure Spitty won’t see anyone but you this Valentine’s Day. Wow, Emmy! You go girl kitty! Very lovely Emmy and you know what they say the ‘squeaky wheel gets oiled first’ got stay on Spitty’s radar. Emmy that Spitty is one lucky kitty and all of the boys here are jealous. Happy Caturday Art Day. Emmy, we know you will have Spitty’s attention for Valentines Day with the beautiful artwork. Thanks for the share, Have a wonderful rest of your weekend. Thank you 🙂 We hope you have a nice weekend too. I bet you’re at the top of the list! That’s the perfect Valentine! It’s so sweet. Emmy, arn’t you a, ahem, little young for Spitty. Not that I’m jealous or anything. Emmy, you look quite lovely. I hope Spitty pays attention. Spitty can’t help but be smitten by that lovely Valentine! Spitty is one lucky kitty to have your affections! Emmy, we have no doubt that Spitty will find you irresistible!